A great side dish for dinner, picnic, or barbecues. In a large bowl, mix 2 Tablespoons olive oil, salt, and pepper flakes. Add the bell peppers to the bowl and coat the peppers well. Heat grill pan over high heat and grill peppers, turning as they become charred. Remove peppers and place back into bowl. Add additional olive oil, and mint; stir until combined. 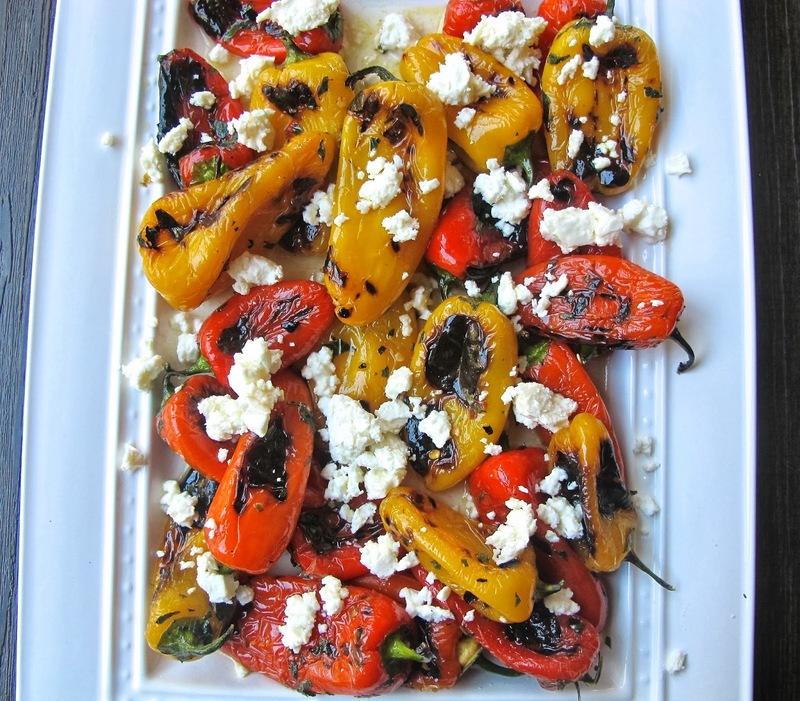 Place peppers on serving plate and top with feta cheese. Love your blog.Thanks for sharing such great recipes! Thanks Robin, your comment is much appreciated. My hope is that this blog will bring families and friends together for food and fellowship around the table. Oh and everything is better by candlelight!